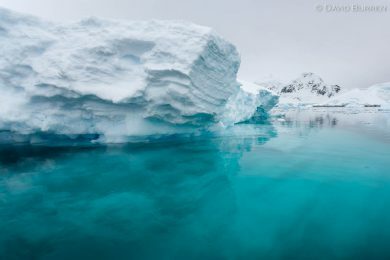 In Antarctica’s Paradise Harbour we found some wonderfully calm water around these icebergs. 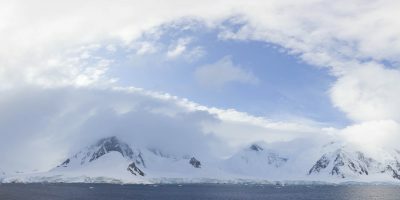 Greens and blues are often prominent in the Antarctic landscape. Although they’re not the only ones we find, they’re fascinating in their richness. 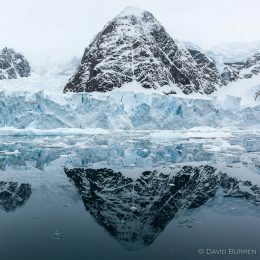 The reflections in Antarctica can be magical! 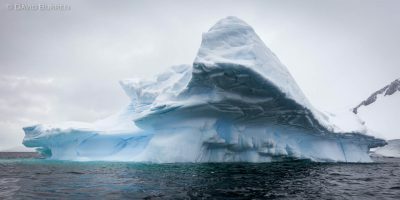 In Antarctica’s Neumayer Channel, as we cruised near this vaguely-triangular iceberg there were a few comments in our Zodiac about battleships. 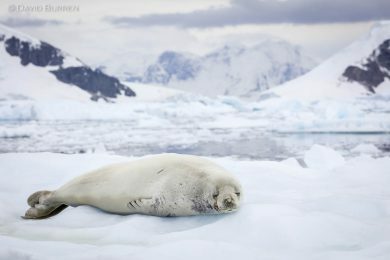 On this day near Antarctica’s Fish Islands, we spent a happy morning exploring the ice sculptures around us. 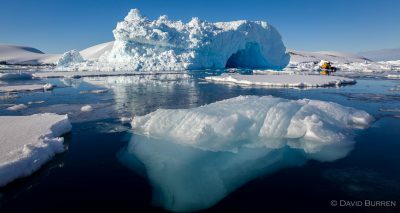 Here’s an older Antarctic image from our 2011 Antarctic LuminOdyssey. 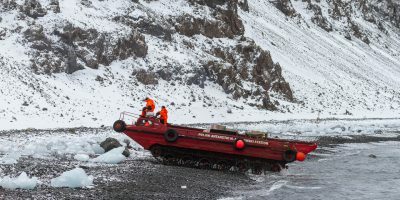 An amphibious vehicle bringing supplies ashore to a Polish research base.